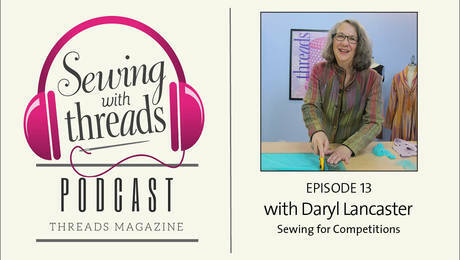 Episode 13: Daryl Lancaster offers in-depth guidance for creating garments for competition, getting your work accepted by a jury, and enjoying the process, whether you win or not. 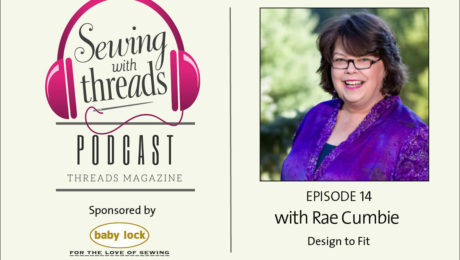 In the Sewing with Threads Episode 13 video podcast, guest Daryl Lancaster shares her experiences with designing, weaving, and constructing garments and fiber arts pieces for sewing contests. 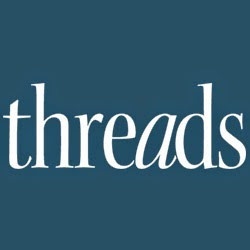 Daryl has contributed numerous articles to Threads and maintains her own website at DarylLancaster.com. She travels extensively to teach hand weaving and garment construction. 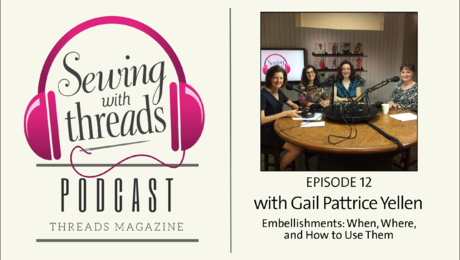 A hot topic in this podcast episode was how to promote your fiber arts and sewn garments through competitions and contests. 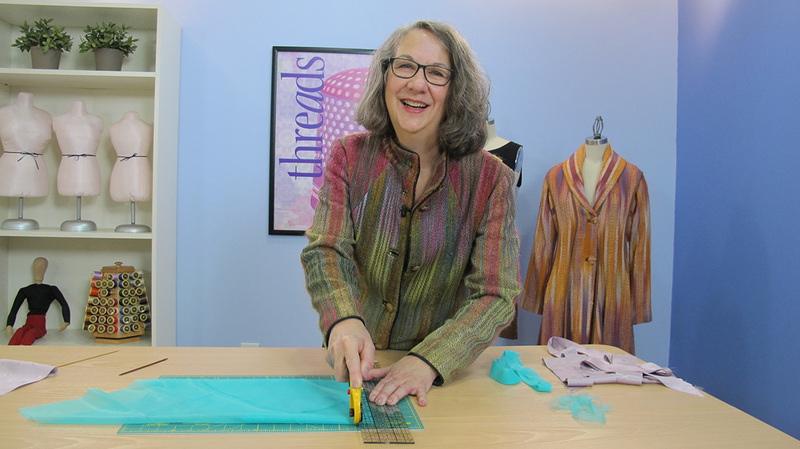 Daryl has entered and won many contests, and exhibited her work at dozens of juried exhibitions. 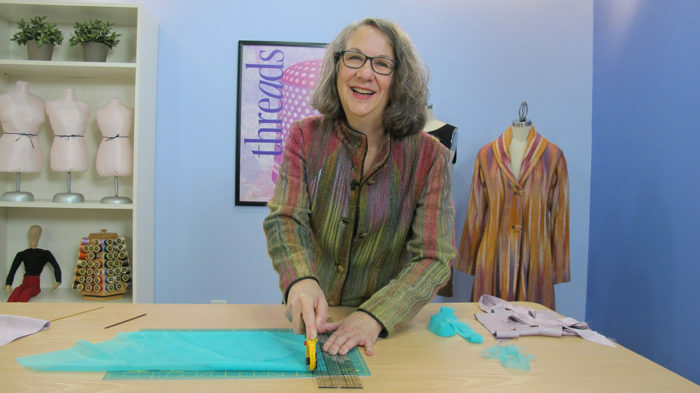 Her latest big win was at the Handweavers Guild of America, Inc. Her advice is to keep entering competitions and applying to shows, and not to be discouraged by rejections. According to her, a ratio of six rejections to one acceptance or win is excellent. The best way to handle a rejection is to learn from it by visiting the show to see what kind of pieces did get accepted. 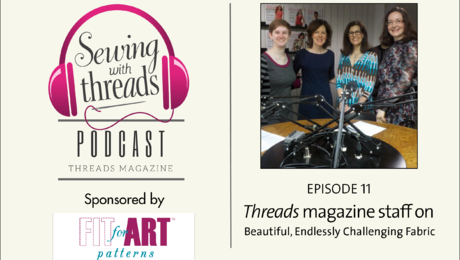 To hear more about what our authors and guests love about sewing, tune in to previous episodes of the Sewing with Threads podcast.